Complete Custom Wheel (CCW); the wheel company dedicated to bringing exceptional products to market for demanding car enthusiasts whom values performance, above all else. CCW was founded with the intention of providing race and street car builders a way to get the most out of their car and not the most out of their wallet. All CCW Wheels are made from industry standard lightweight Forged 6061 Aluminum. Monoblock, two-piece and three-piece wheels for street & track use are currently offered. Modular / Multi-piece CCW wheels are assembled using the finest ARP Hardware, known for their strength and durability. Polished, Matte Black, Gold, and even Candy Apple Red are just a few of the many powder coat color options we offer. We understand that not all car builds are created equally and your wheels should be no different! 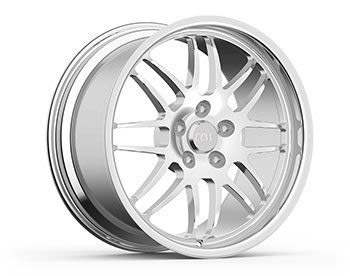 Contact us and allow our team to work with you one on one to choose custom offsets, lip sizes, and options to create your own complete custom wheel.